Get out and about in a bustling neighborhood packed with galleries, bars, markets, independent stores and public spaces then return to a haven of style, security and serenity. Arago will be fully renovated, adding contemporary freshness and modern functionality to its abundant early-20th-century charm. The building will be restructured to create compact apartments of exceptional quality. 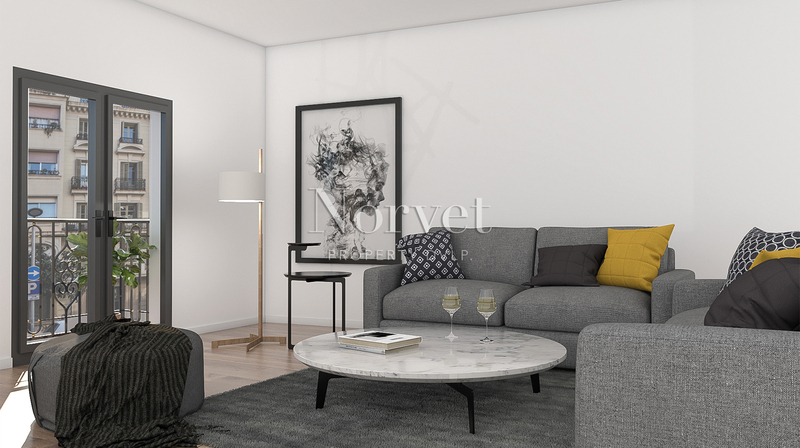 Outside The original, elegant façades will be restored and Norvet’s team of expert architects, designers and engineers will transform the property’s communal spaces. The phenomenal rooftop terrace will open up views of the city skyline and Barcelona’s world-famous landmarks. Arago’s new, high-end carpentry will respect and build on local traditions. 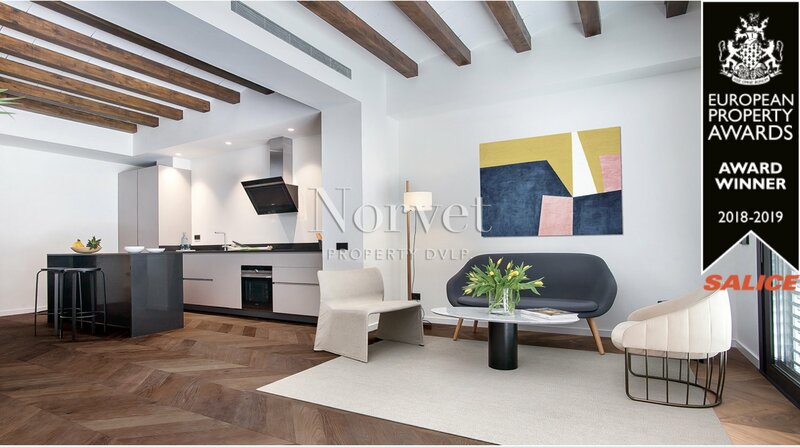 Inside Arago’s newly designed apartments of approximately 45sqm are ideal as city homes or second residences. Contemporary design combines with traditional craftsmanship in details such as the magnificent tiled mosaic flooring. 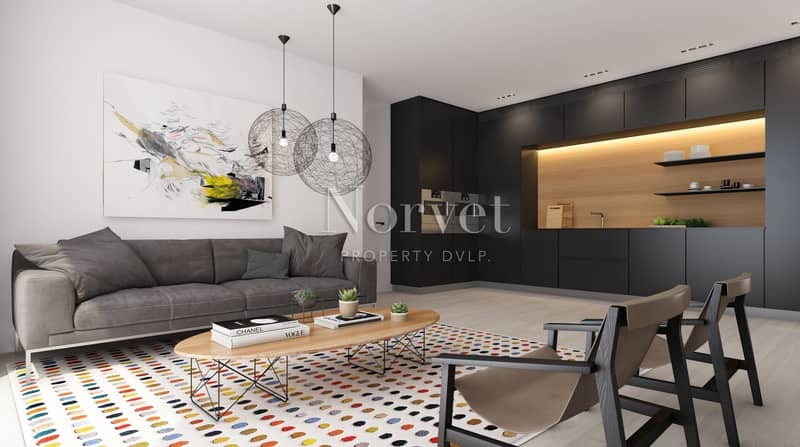 Norvet’s impeccable attention to detail guarantees that the outstanding design will be matched by the quality of the finishes and features, from the spacious living areas, to the custom-made kitchens. Limited availability. Contact us now for full details.